Lurgashall is a picturesque West Sussex village within the South Downs National Park and located mid-way between Midhurst, Petworth and Haslemere. With its village green, shop, church and popular pub, the village is a thriving community, and we warmly welcome all our visitors. The Village Hall is hugely proud to have local artist and e-card creator Jacquie Lawson kindly provide much of the artwork you see on this website. 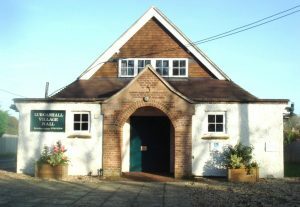 Watch this space for a summary of events at the Village Hall, or go to Facebook at Lurgashall Page. Go to What’s On for the latest News and for more about upcoming Events, and find out about the Hall’s Facilities and how to make a Booking.